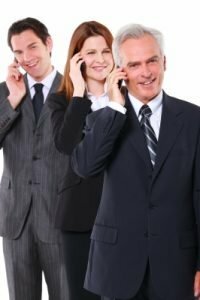 How is your email signature and voicemail greeting communicating your value proposition? Executive job seekers often miss an easy (but powerful) opportunity to connect with targeted decision-makers through their email signature and voice mail greeting. The folks at WriteThat.name, a contact management solution, looked at 700 million emails processed through their systems since 2011. Only 52% had email signatures. Of those, most people (70%) included their name, followed organization/brand (58%). Whether you are currently employed or in transition, your email signature needs to reflect your brand—not your employer’s brand. Similar to a business or calling card, any touch points with decision-makers and influencers need to mirror your promised value. We cannot determine from this email signature whether Zlatco is currently employed, although that’s not really what is important. What is important here is that Zlatco positions himself as a business turnaround expert and that he is currently living in San Diego. We know what level he is targeting and what industries. There is no doubt that Zlatco knows what he wants. The signature demonstrates focus and confidence. The comment that he “Currently resides in San Diego” indirectly suggests he is open to relocation. Always use a compelling email signature. “This is Zlatco. Leave a message and I will return your call.” Not only is this boring, he is missing a brilliant opportunity to instill a sense of confidence and intrigue with the caller. Do you see the difference? The second example very clearly establishes Zlatco as a C-level executive in three targeted industries. There are many standards for voicemail, but I believe the most important one is brevity—demonstrating respect for your callers’ time will go a long way to establish trust with your targeted decision-makers and recruiters. It is suggested to not exceed 30 seconds for your greeting. Todd Smith of Little Things Matter offers basic tips for leaving a professional voicemail greeting. Land faster and smarter with two high value and low cost ways to splash your brand in the marketplace.